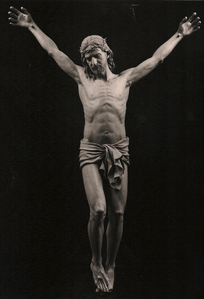 The Corpus Christi is a six foot figure sculpture. 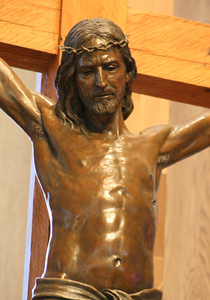 There are two versions, one in bronze and one in polychromed aluminum. 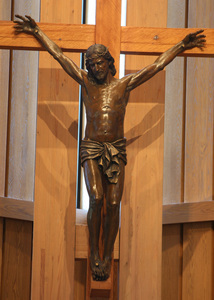 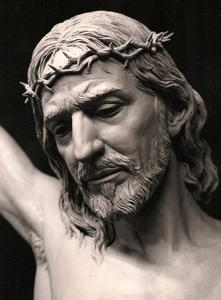 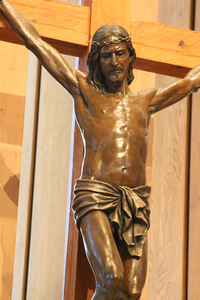 This particular sculpture is in the Benedictine Marmion Abbey in Aurora, Illinois.